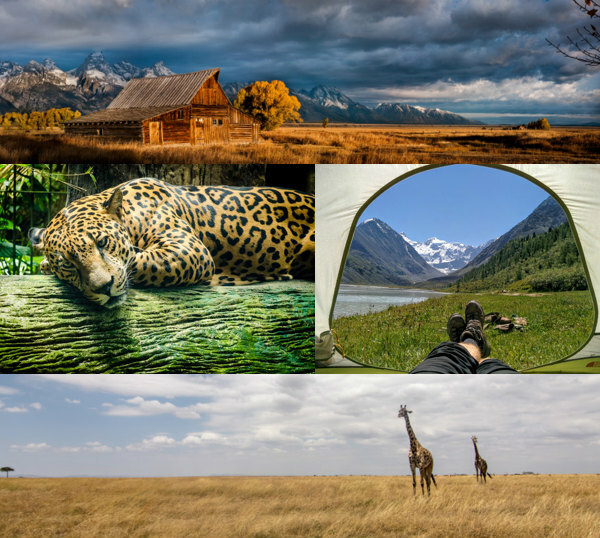 21st Century Fox celebrated Earth Day this year with the "Explore Your World" photo contest, giving colleagues across the globe the chance to combine their photography skills and their love of the outdoors by sharing their best nature photos on social media with #21CFExplore. More than 3,000 entries poured in from across the business as employees unleashed their inner explorers and posted stunning portraits of the world around them. The competition was the centerpiece of 21CF's Earth Month campaign, which encouraged colleagues everywhere to explore and protect the planet. Winners will receive their choice of an Apple Watch, a GoPro, or a National Geographic-branded digital camera. Throughout the month of April, 21CF provided opportunities for colleagues to get outdoors, get healthy, and give back to their communities. Employees based in New York and Los Angeles got the chance to volunteer at local parks and elementary schools, fundraise for the Wildlife Conservation Society at the Bronx Zoo's Run for the Wild 5K, and hear from experts at National Geographic such as renowned geologist Ford Cochran and National Geographic Kids editor Rachel Buchholz. In addition, special on-air Earth Day programming at FOX and Nat Geo WILD reached viewers around the world with tips on how to make their homes more eco-friendly, as well as new documentaries on endangered species.